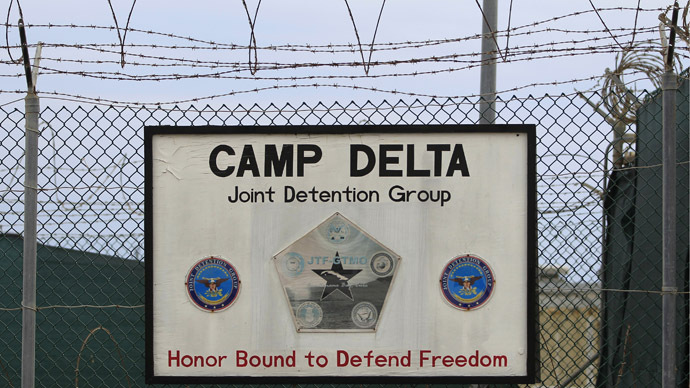 With Guantanamo prisoners on hunger strike for over two months, human rights activists across the United States demonstrated against the country's treatment of detainees in the offshore US prison camp. 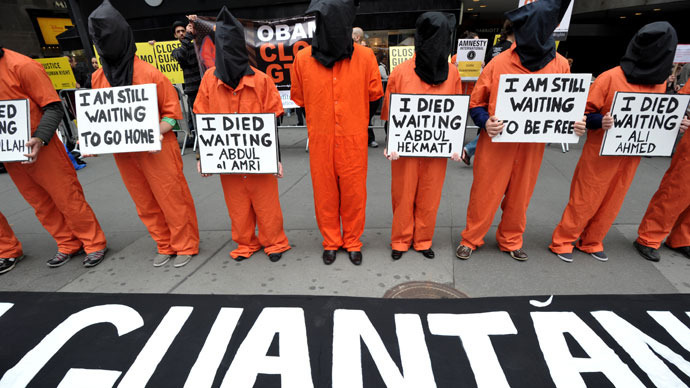 The rallies – held in New York City, Washington, DC, Los Angeles, San Francisco and Yemen – saw demonstrators dress in the orange jumpsuits worn by detainees, with some donning the black hoods made infamous by images taken at Gitmo and at similar black sites throughout the Middle East. 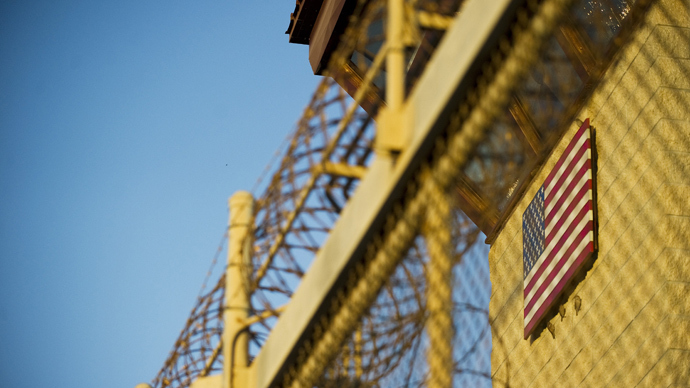 The American Civil Liberties Union joined Amnesty International, Human Rights Watch and 22 other rights organizations that signed an open letter calling on Obama to close the prison. 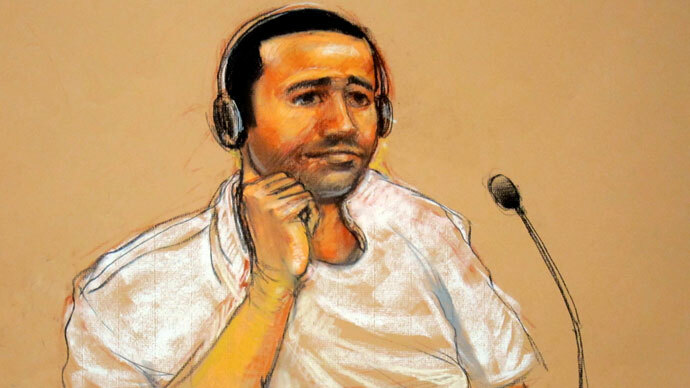 "The situation is the predictable result of continuing to hold prisoners indefinitely without charge for more than 11 years," the letter read. "We urge you to begin working to transfer the remaining detained men to their home countries or other countries for resettlement, or to charge them in a court that comports with fair trial standards." 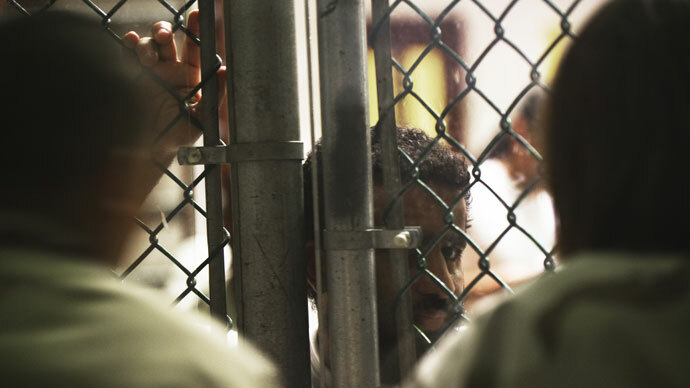 On Thursday, the head of the International Committee of the Red Cross (ICRC) took President Barack Obama to task over the “untenable” legal situation faced by prisoners in Guantanamo Bay. 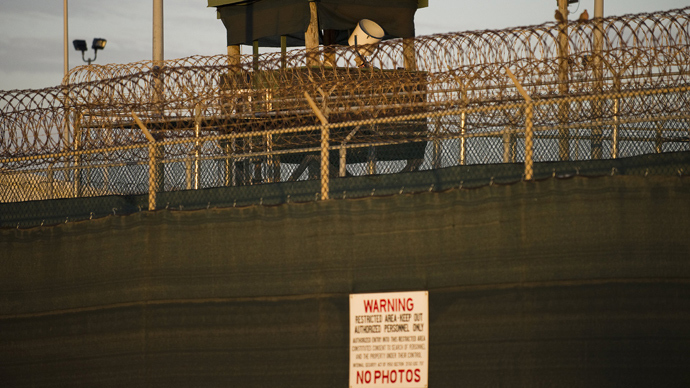 "The issue of Guantanamo is politically blocked in this country," ICRC President Peter Maurer told a Washington news conference a day after meeting with President Obama. He further urged the White House to do everything in its power to find “a new compromise” to resolve the ongoing crisis. 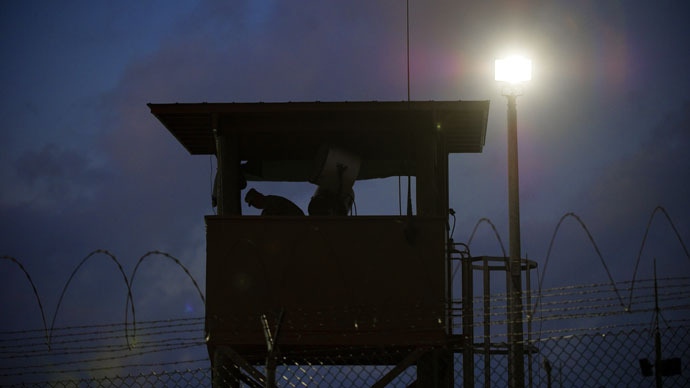 The increased scrutiny also coincides with news that almost all of the inmates at Guantanamo have joined a two-month-long hunger strike in a desperate attempt to attract media attention to their plight. 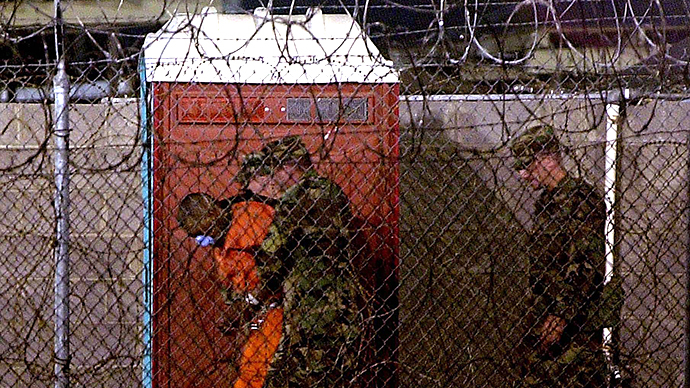 Pentagon officials and government employees at the US Department of Justice have come forward in recent weeks to admit that inmates are being force-fed via feeding tubes inserted through their nostrils. Prison authorities have asserted the force-feeding is barely uncomfortable, while the inmates' defense attorneys say they are told it is an exceedingly painful procedure to endure. One critic is defense attorney George Brent Mickum, who has represented multiple Guantanamo inmates. Among them is Abu Zubaydah, classified by the Bush administration as one of the 9/11 masterminds in a claim that was later proved false. During a conversation with RT, Mickum admitted that the handling of Guantanamo and the American public's lack out outrage on the subject has him worried about the country's future. "The entire system is flawed," Mickum said. "It's that kind of thing that, historically speaking, perhaps if the country still has it together 20 or 25 years down the road, people will look at and say 'Wow, what a sad time in our country.' But unless we change our thinking I'm not sure that's going to be the case because we've continued to give up our freedoms in terms of the Fourth, Fifth, Sixth Amendments and the Patriot Act."